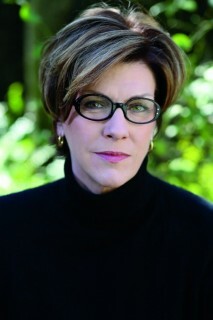 The Eudora Welty Foundation » Welty Garden 10th Anniversary Party with Julia Reed Is a Sell Out! Welty Garden 10th Anniversary Party with Julia Reed Is a Sell Out! The Welty Garden Party, featuring author and columnist Julia Reed held March 27 at the Mississippi Museum of Art was a sell-out hit with over 240 people attending. The event celebrated the tenth anniversary of the restored historic garden at the Eudora Welty House’s being open to the public. Select heirloom plants — including camellias as well as night-blooming cereus plants — and specially-designed aprons were sold before and after the luncheon. Proceeds from the luncheon and the sales benefitted the Welty Garden’s continuing restoration. The Welty House and Garden were open for tours on the 27th, featuring the debut of new outdoor educational signs. The Welty Foundation is grateful to the Cereus Weeders — Welty Garden volunteers — for their significant help with these events. According to Susan Haltom, historic garden consultant, Welty sought inspiration and solace in her backyard garden during the 1930s and 40s, the time when her literary career was blossoming. Many times she lamented the tug of war between writing and gardening, as she expressed in a 1942 letter to her agent, Diarmuid Russell. For more information, call 601-353-7762 or email foundation@eudorawelty.org.